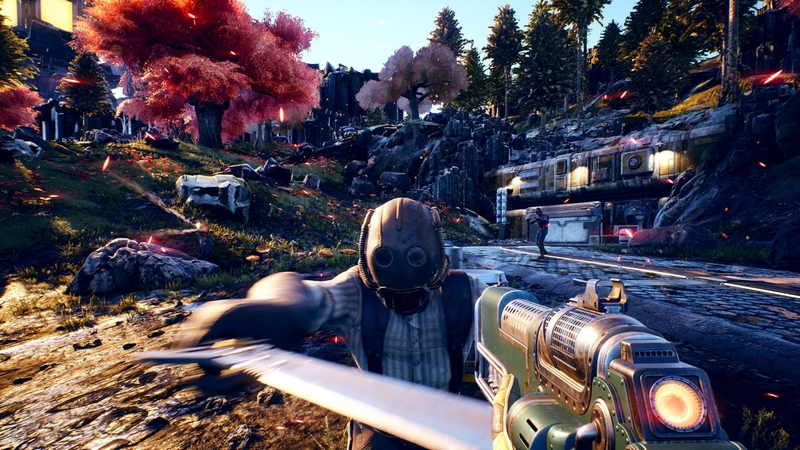 Obsidian’s The Outer Worlds, similar to other RPGs of its kind, will feature a number of companion characters. According to Obsidian developers, each companion has their own personality and beliefs. Interestingly, because of this, companions aren’t obligated to stick with the player throughout the game’s entirety. In fact, should the player do something to displease them, companions are likely to leave. This detail alone makes The Outer Worlds’ companion system seem unique in many respects. In an interview with Game Informer, Senior Narrative Designer Megan Starks explained that “we do have ways that a companion can choose to leave you.” However, a morality system doesn’t govern a companion’s reasoning. Nor are they more likely to stick around if players reward them with gifts. Rather, how players engage with major decisions will determine whether a companion finds them worthy of their companionship. Apparently, thanks to each character’s personality, players should be able to discern if certain companions will depart after making a tough choice. Even if you lose a points-based morale system, I think you gain something by hand-crafting specific moments where a companion is like, “Why would you do this? You’re completely out of your mind!’” And that also gives the player an interesting opportunity to say, “You might be thinking that, but here are my reasons why…” and sometimes we can attach that to a persuade or leadership check, and that helps the player feel more rewarded. With a game like ours, there’s a balance you have to strike, because you don’t have to recruit the companions. You can have a full, complete experience of our game – minus the companion content – if you never recruit them. But at the same time, we do want them to feel very involved for players who choose to bring them along. While we have to be careful not to make them mandatory, we also look for ways to bring them in. With the game ranging from 15 to 40 hours in length, it’ll be intriguing to see if players with no companions are more likely to complete the game sooner. Additionally interesting is that despite their being no romance options, it sounds as though The Outer Worlds will still have plenty to offer with regard to building relationships with NPCs. The Outer Worlds currently lacks a specific release date, but will launch sometime in 2019 for the PlayStation 4, PC, and Xbox One.